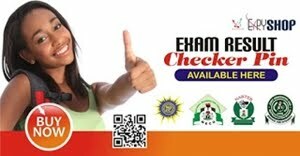 NECO has announced the released result of its 2012 Nov/Dec Senior School Certificate Examination for private students (a.k.a GCE). According to the NECO registrar there was a remarkable improvement in this year's result compared to last year, though he did not provide sufficient data to justify the claim. According to the NECO registrar over 33.89% of the 75,623 that sat for the exam got at least credit in English, while 54.79% got credit in Maths. However, NECO failed to provide key data for judging performance. 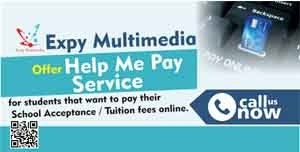 Just offering performance for specific subjects is not enough, the data is the actual number that got credit in five subjects including English and Maths. Here is the data NECO has released so far. We will update when we get more. 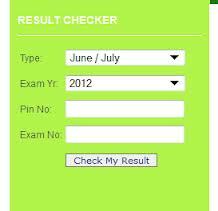 Please, there is nothing like upgrading of result. Once your result is out, it cannot be upgraded. Pls Ignore these kind of comments of upgrading of result if come across one, it’s fake and they are trying to use dubious means to syphon money from others in the name of help/assistance.